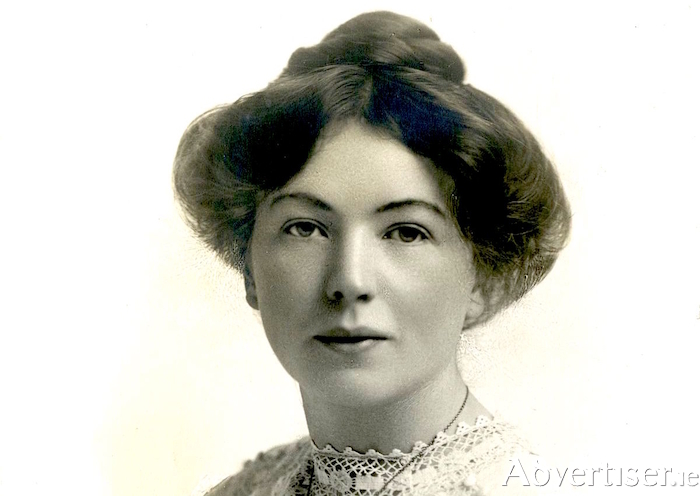 CHRISTABEL PANKHURST, daughter of women's suffrage movement leader Emmeline Pankhurst and the radical socialist Richard Pankhurst, came to Galway in 1911 and spoke at the city's Town Hall at a meeting to demand that women have the right to vote. The talk took place on October 18 of that year, and in the lead up to its centenary, a major event, entitled Suffragettes in the Town Hall: A Spirited Address on Votes for Women, takes place in the Town Hall Theatre on Monday October 8 at 8pm. Suffragettes will be an evening of life-stories, music, and art, that will seek to re-imagine and interpret how that 1911 Town Hall talk, organised as part of a campaign by the Irish Women’s Franchise League to influence public opinion, helped to extend votes to women in 1918. The programme for Galway’s Great Read 2018 - Women of the West: Art, Citizenship & Literature, an initiative of Galway Public Libraries to mark the 100th anniversary of the campaign for votes for women, and promote our literary heritage, history, and culture, will also be launched at this event. Galway’s Great Read 2018 will include performances, lectures, and talks; art and drama workshops on women from Galway and the west during the 1918 political, working, artistic, or literary fields, including Alice Abadam (Hotel Meyrick ), Florence Moon (Moons, now Brown Thomas ), Mary Fleetwood Berry (St Nicholas’s Collegiate Church ), Kathleen Shewell (GSPCA ), Mary Donovan (UCG, now NUIG ), Edith Young and (Lough Corrib House ). It will run throughout November. Suffragettes is organised by the Galway Public Libraries' Sharleen McAndrew and Josephine Vahey, and NUI Galway's Mary Clancy. This is a free event, but ticketed. To obtain a ticket contact www.tht.ie or call 091 - 569777.